Creative Bible Journaling Group has an OPTIONAL Devo Program, which features three different devotionals (2 are daily devos, and 1 is weekly devo) Dig Deeper in the word with Artsy and Meaningful Devotionals Download the February schedule by clicking on this link. 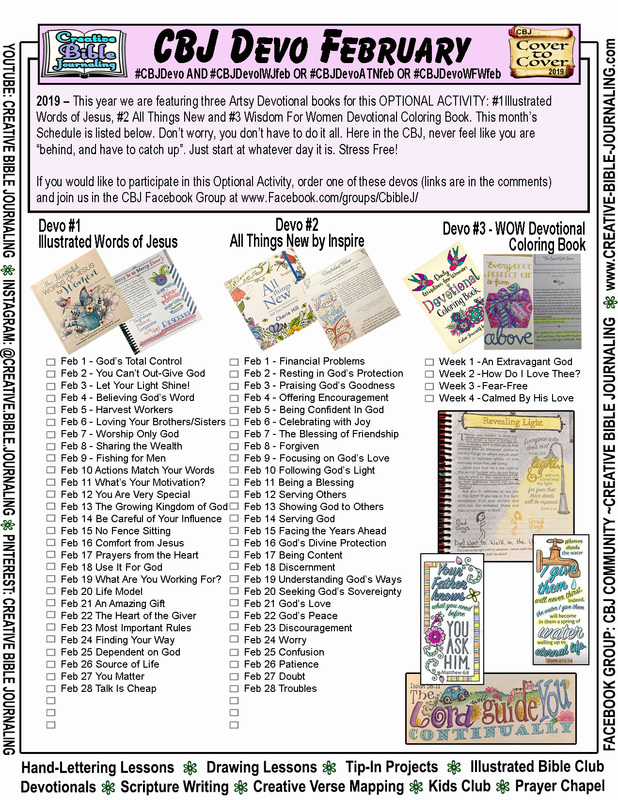 Visit us in the Creative Bible Journaling Facebook group to share your own devo pages with others. Please post photos in the DISCUSSION FEED with the hashtag #CBJdevoFeb (just copy the number sign and the letters with no spaces) But don’t stress about the hashtags, just post without them, if it’s too confusing.